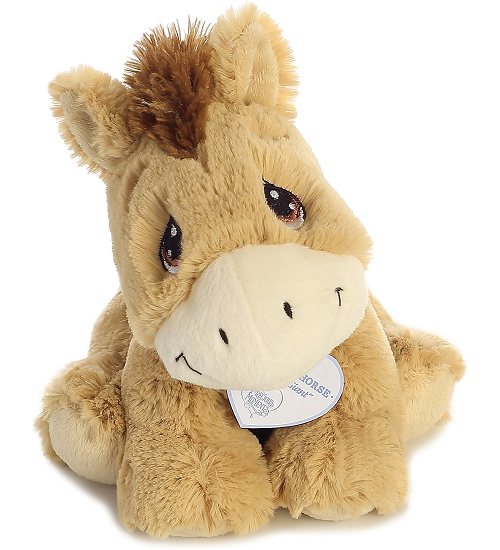 With a sweet face to melt your heart, Precious Moments Apple-Jack Horse also has a very special inspirational tag bearing her name and an encouraging message that is close to her heart - "My Gentle Giant." 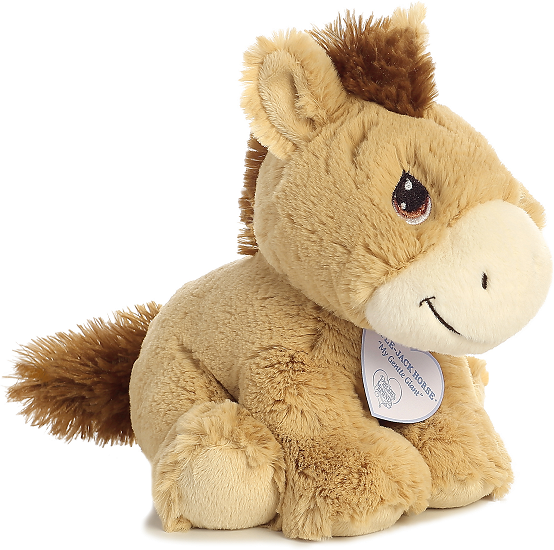 This adorable plush horse has a huggable body of soft light brown fur, fluffy rust mane and tail, white nose, and an endearing smile set below beautifully embroidered brown tear-drop eyes. 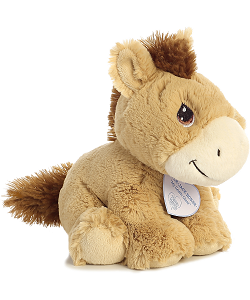 This Precious Moments Apple-Jack Horse is a stuffed animal pony that will Share the Gift of Love for years to come.